All year-round of good tropical weather with inviting beaches for long dips. You will find beaches near the cities, with or without coconut palm trees and some almost deserted of people, but in all beaches the sand is white and the water clear, clean and warm. 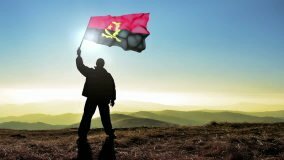 30 years of war has not changed this characteristic of the Angolan people. Large rivers and beautiful waterfalls. Sensual movements, hot african-caribbean rhythms, kizomba and kuduros, strong emotions along with what there is of best in the African Continent. Souvenirs of ivory, wood ceramics and metal of great beauty and originality. Painting is very developed. The evolution of Angola is very specific that originates situations, behaviours and an atmosphere rather unusual.